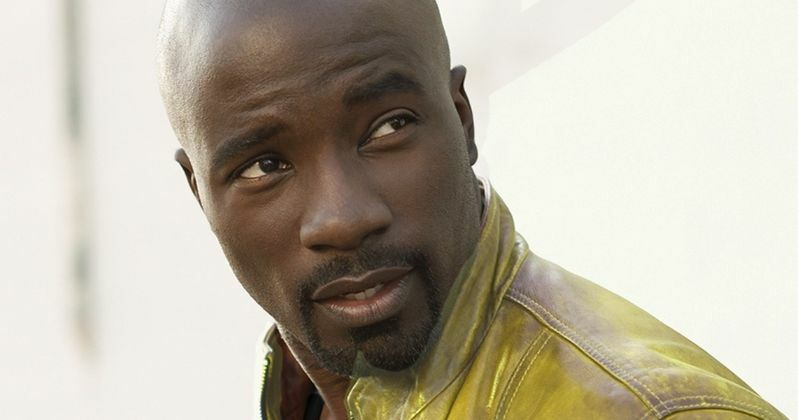 Marvel's Luke Cage Villain and Love Interest Revealed? Production is already under way on Season 2 of Marvel's Daredevil, and filming just wrapped on the second of Marvel's four Netflix shows Marvel's Jessica Jones. Today we have a new report that offers details on the third show, Marvel's Luke Cage, which stars Mike Colter as the title character. While this isn't official yet, Heroic Hollywood has revealed the first plot synopsis, which tells us the main villain and love interest in the series. "Luke Cage is a former gang member who is framed for a crime. In prison, he volunteers for a medical experiment that goes awry, giving him super strength and bulletproof skin. Using his newfound powers, Cage escapes and becomes a hero for hire. His archenemy is Willy Stryker, a former childhood friend from Harlem. The two committed petty crimes together, and both fell for the same woman, Reva Connors, which led to their eventual falling out. It was Stryker who framed Cage for a drug deal that sent him to prison." The report also reveals that production is scheduled to begin next week in New York City, although it isn't known if Willy Stryker or Reva Conners have been cast yet. It was previously rumored that the Marvel Comics villain Cottonmouth will appear in the series, and if this rumor is true, it would make sense to have Willy Stryker as the main villain, since Cottonmouth works for him in the comics. If production is set to start next week, these characters are most likely cast already, although it hasn't been revealed who will be playing them. We reported last week that Alfre Woodard has signed on for a major role in Marvel's Luke Cage. She will play a character known as Minetta, a powerful woman involved in the Hell's Kitchen political scene. Fans are already speculating that Minetta is actually the comic book character Black Mariah. In the comics, Black Mariah is a villain to both Luke Cage and Marvel's Iron Fist, so if she ends up portraying that character, it's possible she could cross over to both shows. What do you think about Marvel's Luke Cage battling Willy Stryker in this highly-anticipated superhero TV series? Stay tuned for more details as Marvel's Luke Cage gets closer to starting production, with the show set to debut sometime next year. Marvel's Iron Fist is also set to debut in 2016, with The Defenders miniseries set to debut in 2017.